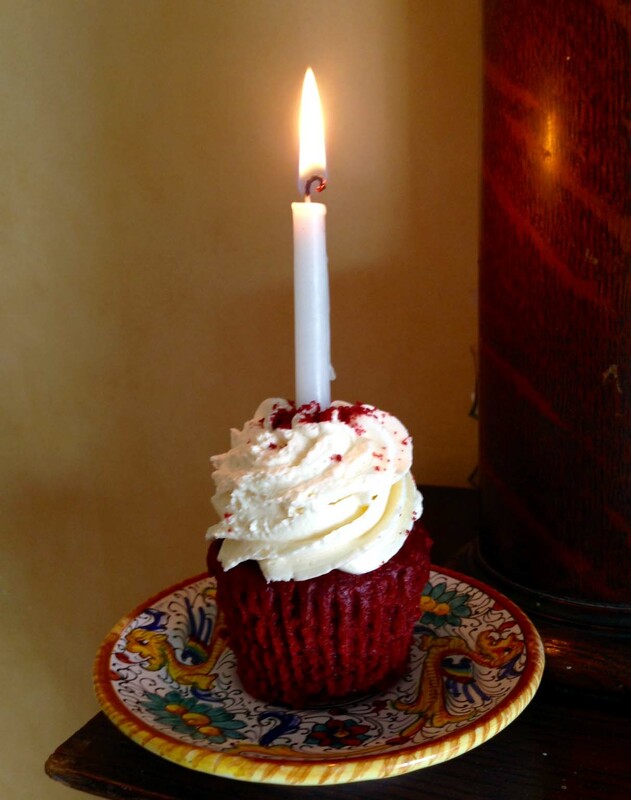 Today is Un po’ di pepe’s secondo bloghiversario-2nd anniversary of blogging! I can’t believe 2 years has already gone by since I hit the big blue PUBLISH button for the first time. 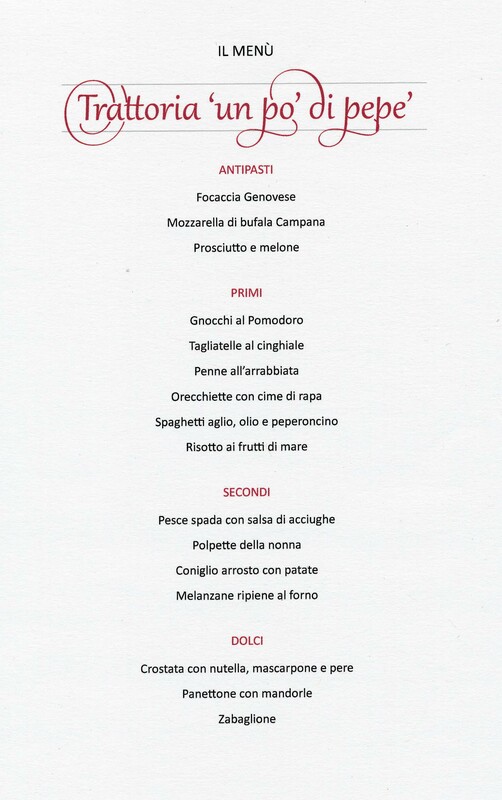 In honour of the bloghiversario, last week I finally made my most viewed post June 2014’s ‘Italiano per Ristoranti~How to pronounce your menù’ into a PDF that is downloadable from the blog. It only took 22 months to get it done, but as my Mamma says ‘Meglio tardi che mai’-better late than never! Click on the link in red and the PDF is available at the end of the post. I’m thinking of adding more content and turning this into an ebook available on Amazon. Hopefully it won’t take me another 22 months to do that! Another exciting thing that happened in year 2 of blogging was receiving a Cannolo Award. 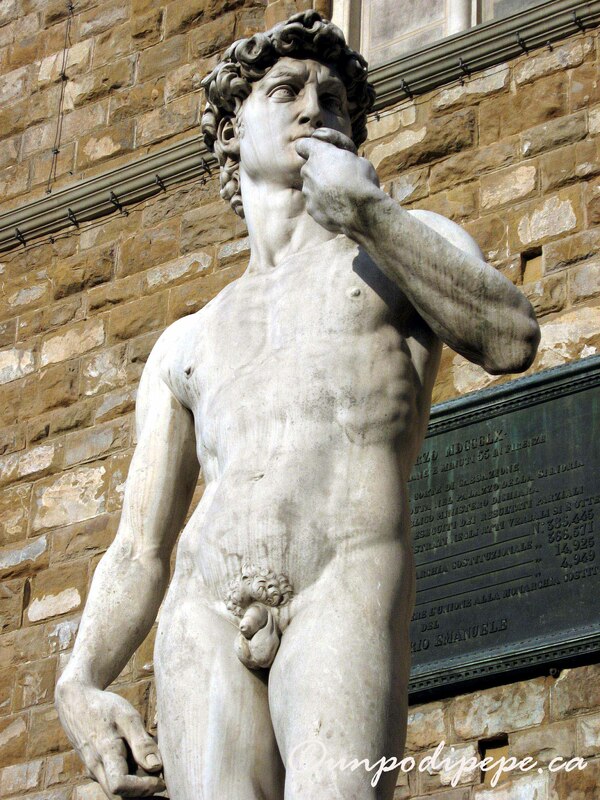 One more thing I will do in honour of the bloghiversario is post a link to my first real post ‘Il Gigante~Michelangelo’s David’. While I was looking for some book cloth in my paper drawers, I discovered that I have an infestation of unfinished melagrane. Melagrana (meh•lah•GRA•nah) is una parola piacevole (pa•ROH•la pyah•cheh•VOH•leh), a really likeable word. 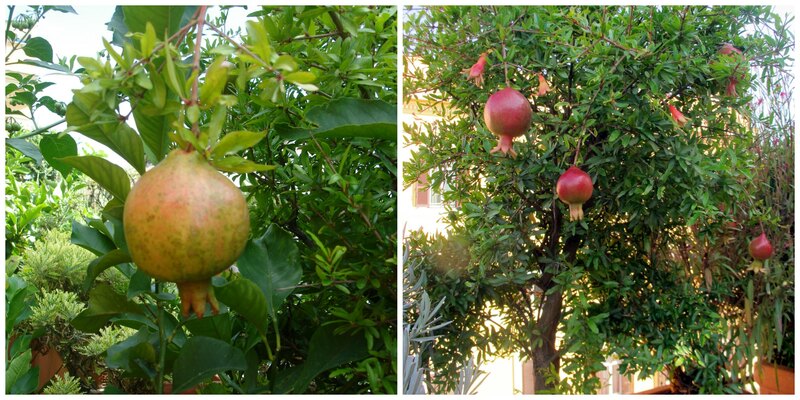 It is Italian for pomegranate, the luscious red fruit with tart little seeds full of vitamins and antioxidants. 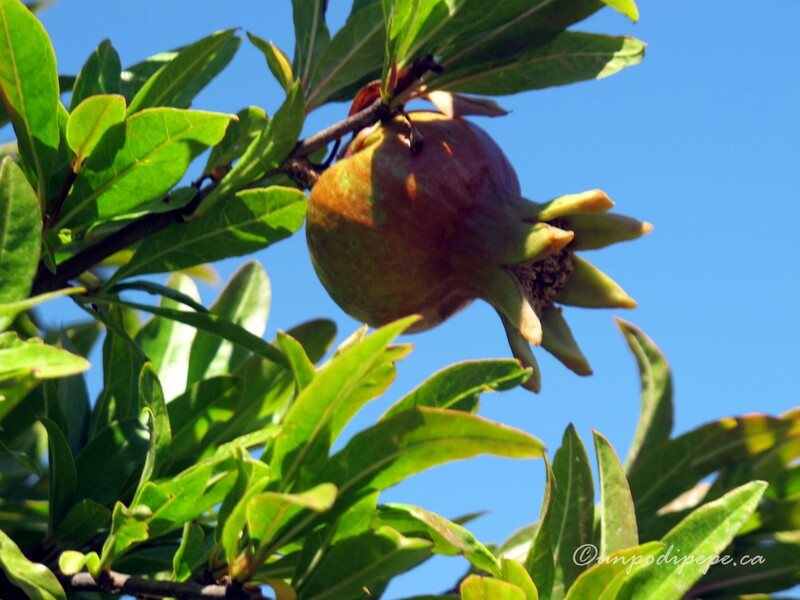 Melagrane is plural and il melograno is the pomegranate tree. The tree is masculine and the fruit is feminine-this causes a lot of confusion. Just remember ‘la melagrana e il frutto del melagrano’. This is consistent with other fruits and their trees, for example- pera/ pero, olive/ulivo. Granata is another word for melagrana. Granata is also the luscious pomegranate red colour, garnet-as in the stone, and grenade-the not so nice kind that blows up. A grenade does kind of look it is covered in ‘semi di melagrana’ (pomegranate seeds). Granatina or grenadine is syrup made with pomegranate juice used to make a Tequila Sunrise. Melagrana comes from the latin words Malum (mela=apple) and granatum (grainy/full of seeds). The Spanish city of Granada is named for the fruit-Granada is melagrana in Spanish. The official symbol of the city is the melagrana and it appears in its coat of arms and all over Granada. 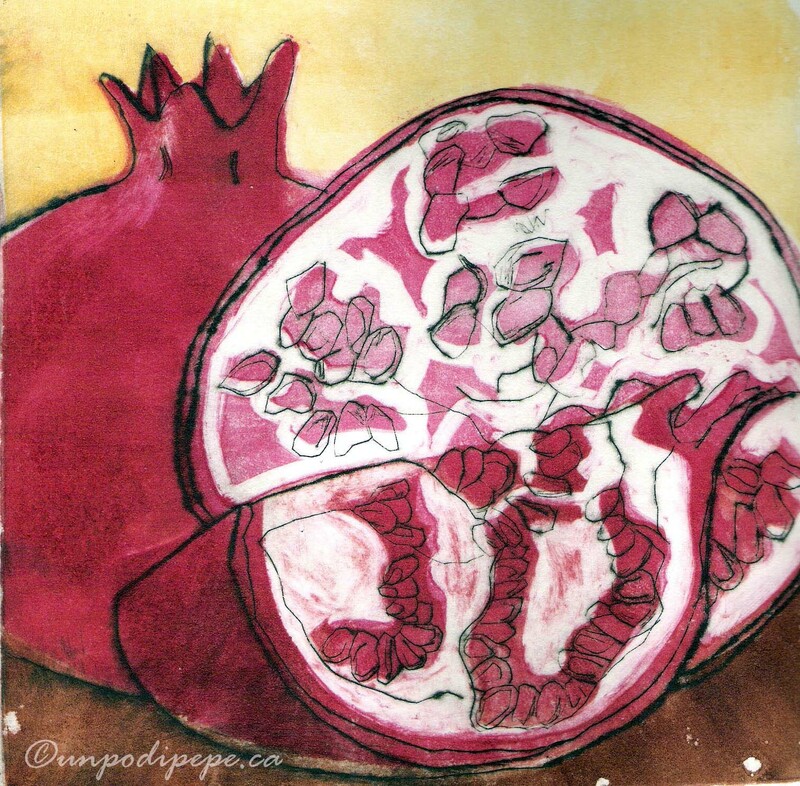 The French word for apple is pomme, so pomme granate resulted in the English word pomegranate (apple of Granada). I love how all of these words are connected! Mannaggia la melagrana! 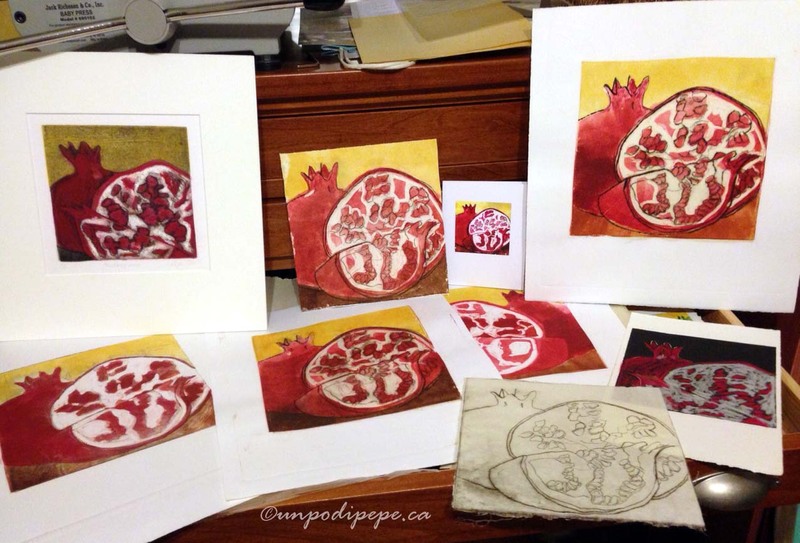 I’d better find time to finish all of these monotipi (monotypes) and incisione punta secca (drypoint etchings). I might have to have a melagrana sale. Chiacchierare (kee•ak•kee•eh•RAH•reh) is what I like to call a ‘parola piacevole’ (pa•ROH•la pyah•cheh•VOH•leh)-a likeable word. I love how it sounds. 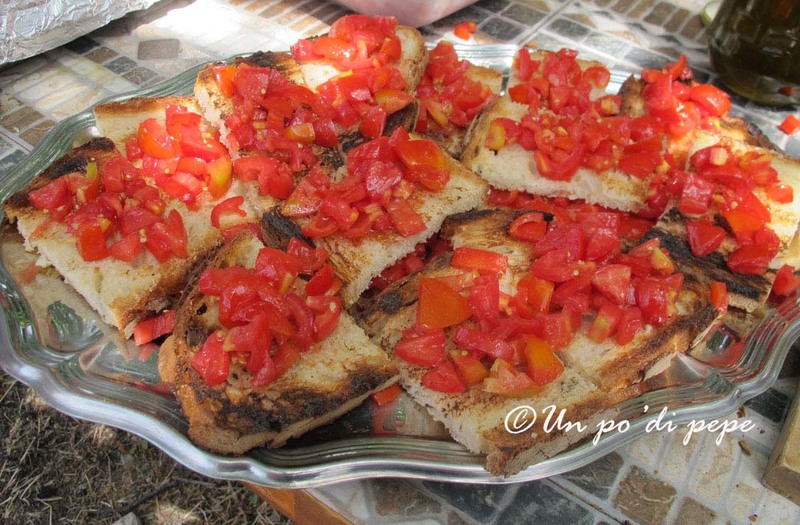 If you need to review Italian pronunciation go back to this post. The verb chiacchierare means to chat or talk. It can also mean to gossip or make small talk. ‘Facciamo due chiacchiere’ literally means ‘Let’s have a few chats’. I titled my quick monochromatic acrylic sketch on paper ‘Chiacchiere’ because as soon as I finished it that is the word that came to me. 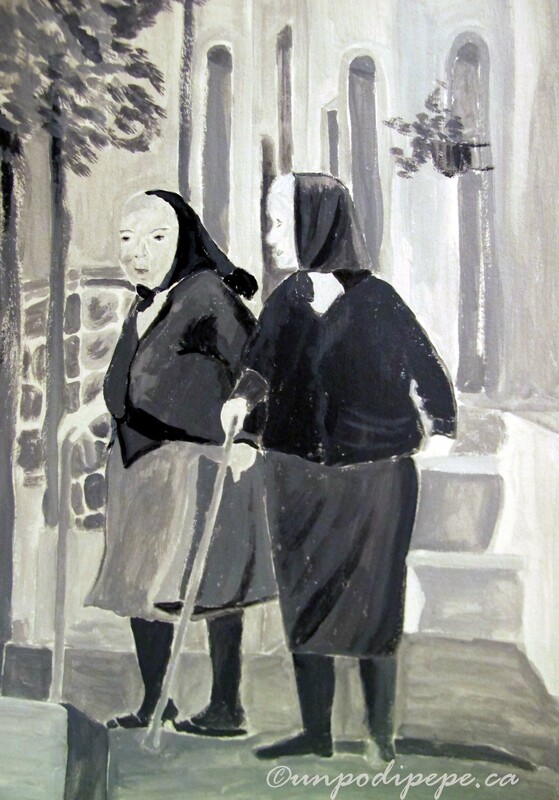 I wonder what these two vecchiette (vek•KYET•teh =little old ladies) are talking about today? I might turn them into a real painting or some note cards…so I can write down my chiacchiere and send them to you!